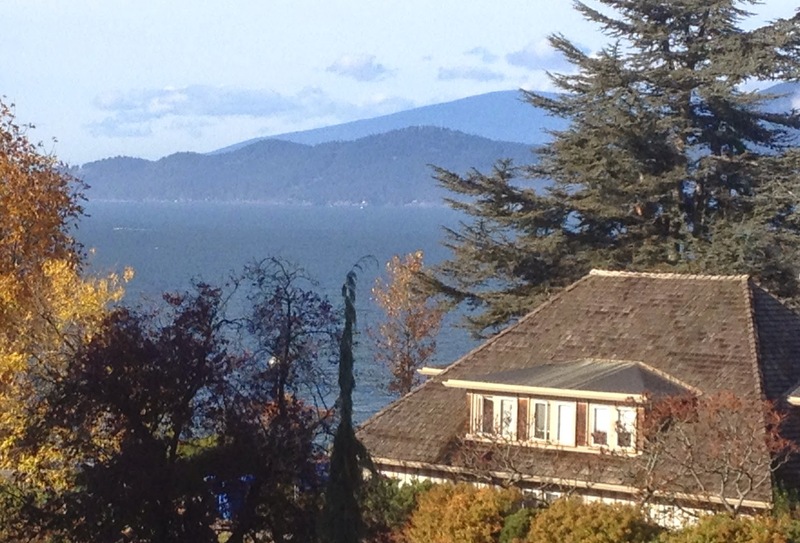 On a day like today it's hard not to be appreciative of living at the edge of Point Grey within UBC's residential community. The sun is out, a light breeze blows on shore, and from my office window I can see clear up the Gulf Of Georgia (Salish Sea). This morning I was able to step outside my backdoor and go for a run without having to worry about traffic. Later I biked across campus to a meeting and to my departmental office in the Anthropology Building on the north edge of campus. All in all it's a great place to live and work. Sometimes people get locked into a binary way of thinking. If I see problems I must be dissatisfied with something. Or, if I find something great I refuse to disrupt my good feeling by recognizing areas that can be improved. I think that we all know that in all things we like there are things to improve; that in things we dislike there are often kernels of the positive. Yet, I wonder why is it that as human beings we often allow the false polarization of issues to guide our actions. As an undergraduate in the early 1980s at Simon Fraser University I took a number of courses on east African history. The professor, Phillip Stigger, had been a colonial administrator in Tanganyika before independence. Then, after independence, he worked for the Julius Nyerere government of Tanzania. I enjoyed these courses. For the most part we explored the period of British Colonial rule, the rise of independence movements, and the subsequent modern history of the new independent nations. These courses were not taught from the then still popular ideas of national liberation and anti-colonialism. They were taught from the perspective of a man who had been there and observed the fall of empire and the rise of independent democratic regimes. His taught us a critical, not an ideological, history. He pointed out errors of colonial and independent rule. He discussed what worked well. He drove us to consider evidence, not conjecture. One of what I consider to be my most important lessons on democracy came from listening to this small 'c' conservative historian: the idea that change will come even when those in power don't want it. Change will come. The point as I recall the lessons was how best to manage it. Do you hold on like the white minority governments did in Southern Rhodesia and South Africa? Do you try to create slow legislative reforms leading gradually to responsible local government? Of course, the reality we learned, fell somewhere in between planing and serendipity. Ultimately the transition was about managing insurgency, and realizing the the days of minority colonial authority were limited. I learned that in east Africa there were those who wanted the British to stay in power: they benefited by the colonial regime, they gained privileges that they might not otherwise had if local democracy had been maintained. There were also those who were afraid that they might loose more then they would gain, even as they chaffed under the authoritarian controls of the British. In the independence movement there were those who were impatient for change, others who cautioned "take a slow pace." There were many perspectives in play. Reflecting back on those lessons I now think about that core lesson, the idea that change does come, and that when there is one group who unfairly hold all the power they will eventually loose that power. The only question is to what extent they can figure out how to relinquish some control, to meet some needs, without unleashing more chaotic forces or finding themselves totally driven out of the seats of power. This brings me back to living at UBC. It's been a great place to bring up a family. It's a great place to live. I enjoy my neighbourhood and take pleasure from all that there is here to enjoy and benefit from. I also recognize that my community suffers a serious democratic deficit. It matters little how benevolent or understanding the University Administration might be it does not excuse them from criticism. Change will come to the university residential areas too. There are people in the university areas who benefit from our current arrangements. They will likely loose their special privileges once real democracy arrives. But so many more of us will benefit and ultimately we all will grow through addressing the real democratic deficit that we have here. There are many world class universities that exist in the middle of major cities. These universities show that being part of a city that has democratic structures in place is not a bad thing. Being truly part of a city, being part of the cosmopolitanism of a majour urban centre will spark creativity and innovation. Trying to rule over a city is a distraction that UBC can ill afford to maintain. On a day like today, with the ocean breeze and the sun, is a good time to make the move toward divesting UBC from the shackles of colonial rule.